Want to read it in other foramts? Also avialble on Kindle, Nook, and Kobo. 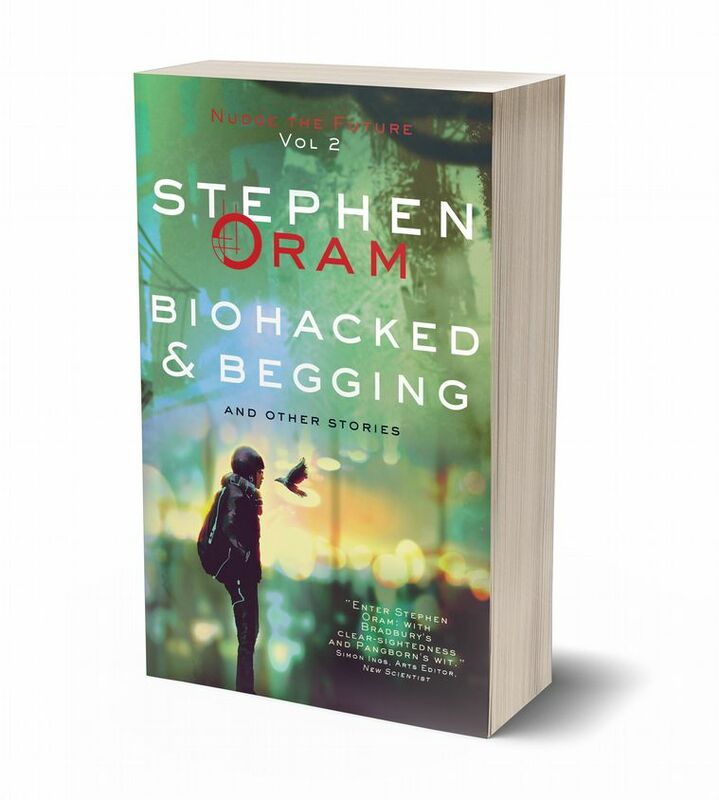 Stephen Oram writes social science fiction and is lead curator for near-future fiction at Virtual Futures. He enjoys working collaboratively with scientists and future-tech people – they do the science he does the fiction. He’s been a hippie-punk, religious-squatter and an anarchist-bureaucrat; he thrives on contradictions. He is published in several anthologies and has two published novels, Quantum Confessions and Fluence. His collection of sci-fi shorts, Eating Robots and Other Stories, was described by the Morning Star as one of the top radical works of fiction in 2017.